1. I don’t think that word means what you think it means. Hello, you are ON THE INTERNET, use the dang thing to find out what that word means before you post it to the general public! 2. Is the cushion surgically attached? No? Then why don’t you take it off before taking the photo, then you don’t have to tell people it is not included. Shabby sheek?!? 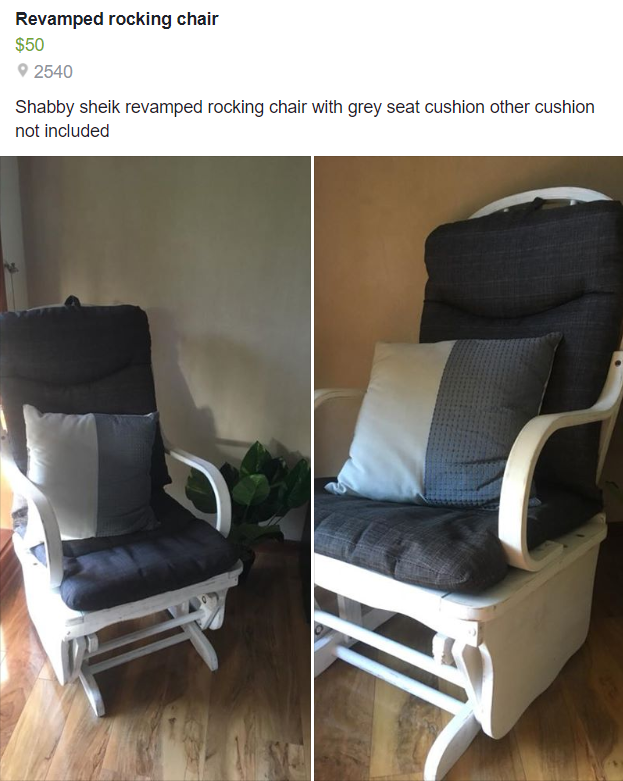 Does that mean “nice wood rocking chair with crappy cushions that fit poorly and just look sloppy and aren’t even included”?